Boat clubs are a valuable source of enjoying various activities involving boats like boat races and handling boats for fishing and sailing etc. General community boat clubs as well as those run by educational institutions offer a platform for social get together, learning about boats, and healthy competitions to their members. Not only do members enjoy the sports and adventure of boating but they also learn about navigation techniques, diving, and other skills required for exploring and enjoying the sea. Among other benefits of joining a boat club is that of getting insured for life so that in case of accidental death, the member’s family gets the death benefits. Boat clubs are a kind of sports clubs that provide a forum for players and fans of sports involving boats, e.g. rowing, yachting, and canoeing etc. Most of the boat clubs arrange for activities related to boats, like boat races, aiming at the personal use and enjoyment of boats by the club members. Membership terms vary according to the type of boat club; some clubs are run by a particular educational institute (college or university) and are open to students of that particular institute; many other boat clubs are open to boating enthusiasts coming from the particular area where the club offers its services. Boat clubs arrange for a number of different activities for its members, ranging from social activities like social get together and work parties to competitive events like boat racing, and learning programs like sailing instructions and water safety courses. Social activities at a boat club also include celebration of special occasions (Independence Day, Memorial Day, and Labor Day etc.) in terms of group celebrations at the club. Competitive events of a boat club serve a number of functions: keeping the existing members active in water sports involving boats, encouraging non-racers to participate in water sports, and gather more funds from spectators and enthusiasts for future boating events. Of particular interest to young people (including school-going kids) and beginners are a boat club’s instruction programs. Practical courses in water safety and boating, swimming, and operating boats help the club members and their children to acquire the basic knowledge of boats and adventures in water sports. Some boat clubs also provide instructive courses on the use of boats in fishing. Other useful information provided at a boat club to its members include the rules and techniques of navigating waters, legal requirements for boating, identification of various kinds of boats for sporting and adventure purposes, and scuba diving. Boat clubs welcome members who have their own boats as well as those who do not own personal boats but want to enjoy their use. 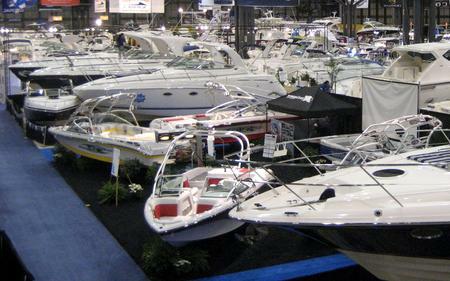 For the latter, boat clubs usually offer boat fleet services i.e. access to various kinds of sailing vessels or boats belonging to the club or paid for by the club without requiring the members to pay for their daily usage, cleaning, or maintenance. A great benefit offered to members at many boat clubs is their life insurance. In case of any accidental death of a member during a club activity (racing event etc. ), the club pays the death benefit to the member’s beneficiary. A large number of boat clubs can now be accessed online and members get regular updates of their club’s activities through an e-newsletter sent via e-mail. The updates keep members informed on upcoming racing events, results of competitions, and various happenings at the club.